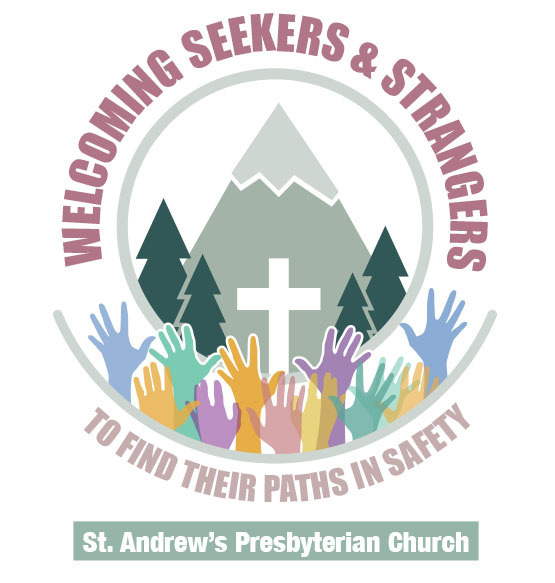 Inspired and challenged by Christ’s example and teaching, St. Andrew’s Presbyterian Church is a community where seekers and strangers are welcomed to find their path in safety and where all are nurtured to grow in Christian faith. In an ever-more-divided world, we will forge meaningful connections among people and work to bridge differences including those of age, race, sexual orientation and gender identity, class, status, circumstance, and life experience. We will passionately pursue social justice by working towards a world that values the dignity and equality of all people. We will work to care for the planet God has entrusted to us. Amidst busy lives, we will cultivate opportunities to reflect, rest, and find balance. Our worship will foster emotional, intellectual, and spiritual connections to God and each other, allowing us to be part of something greater than ourselves. Using our love, talent, and resources we will take on Christ’s transformative work in small and large ways in Portland and beyond. For the entirety of this church year, we will be focusing on our vision, one piece at a time. The focus for any given time period will be bolded in the statement above. See below for interpretations of the vision that we develop throughout the year.